Oh the Barn Dance and variations thereof! and so it goes on and on and on ad nauseum. 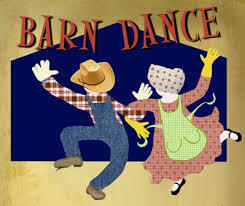 Ever been to a Barn Dance? - they can be quite a lot of fun and quite exhausting. For us, after our grown son got married and moved away it took quite a bit of getting used to - He was our first born and he and I did quite a lot of activities together from soccer to fishing to cricket to guitar playing, he and I were inseparable as he was growing up. We were "team Dad and Dan" and we loved to spend time in each others company. Of course through the teenage years things changed, girls came on the scene and growing up, studying, going to Uni and finding a job all took it's toll on our relationship but we always seemed to be able to 'get it together' and virtually take up where we had left off wherever that happened to be. One girl seemed to stick around a lot longer than the others and it's a funny feeling as a dad to see a relationship blossom between your son and this pretty young sweet thing suddenly appearing on the radar seemingly from nowhere. As a dad I found it particularly strange. Completely expected on one hand and yet bowling me completely over on the other. She was so sweet, she was so pretty, she was kind and attentive that Dan was completely swept away. Even our 'normal' conversation suddenly seemed different - here was my boy, my team mate, my confidant, my only son being slowly and deliberately led away and I must say I didn't blame him one little bit. Of course things changed and the inevitable happened - they married and moved away - not too far away but still far enough away for me to lose the vitality of our relationship that we once enjoyed all those years ago. That's when the 'barn dance' started for me anyway. When we met up as a family, of course the talk mainly went around in circles and that's why I labelled it "The barn dance" because to me that's exactly what he and I did or so it appeared to me. The conversation would open the answer would come then around we'd go and do-si-do. After a few years of do-si-doing this way I decided it was high time Dan and I got back to basics and communicated to each other man to man and father to Son. So I arranged to meet him alone one day. Over the years we had avoided the real issues in life - like our faith and what Christ meant for us personally. We had continued the barn dance and we had perfected it to a point where that is how we communicated - through programmed steps and movements without really addressing the "elephant in the room" syndrome. 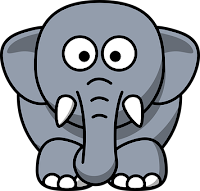 We all know what an "elephant in the room" is - a situation where everyone avoids important issues even though everyone is fully aware that the issue is there yet no-one talks about it. 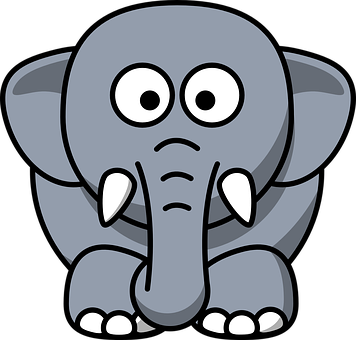 If we don't address the "elephant" then it can foster wariness, confusion and stilted conversation. Team Dad and Dan's elephants were many and varied - there they were all grazing in the room, happily munching away in full sight yet invisible and I was determined to scoot them out permanently. Recognising your elephant is probably the most important first step and then looking at the elephant and making sure that the strategies you put in place to address your elephant won't disengage anyone especially the very one you want to engage in the first place. Make sure that the elephant is really an elephant and not a personal and private matter best kept to the one who is bearing it. If we don't realise this important step you could alienate the very person you want to bring close to you. In Dan and my case the elephants were many and varied - probably the major one was our faith - something that we hadn't talked about for many many years. Faith is absolutely central to the Christian experience and without faith it is impossible to please God. A point I desperately wanted to get through to my boy and something we really needed to discuss. And so we chatted about things as normal - the usual barn dance commenced and then I prayed and started really chatting about things that we hadn't looked at for years. As the conversation evolved we became more and more like the Dad and Dan Team from way back. The elephants slowly started to make their way out of the room and the more and more we really stated to talk as Father and son and man to man. The "Faith Elephant"seemed to be the hardest one to move - I think Dan was a little startled when I drew it to his attention but finally even that one decided enough was enough and vacated the premises. You know, Jesus had no elephants in the room - He didn't barn dance and do-si-do around with anyone he said what he meant and meant what he said - he laid it out plainly for all to see. His words were sometimes hard to take in because they were the truths and the plan for salvation that would eventually save us. Jesus is truth and honesty personified. There is absolutely no falsehood in Jesus, no pretences, no half truths and certainly no compromises. All Jesus relationships were based on honesty and truthfulness there was absolutely NO deceit in him at all. Jesus also looked at things head on - how about the crucifixion? He went willingly to one of THE most excruciating types of executions - as SELAH puts it so well in one their songs "Crucifixion was the most cruelest creation of man"
Jesus didn't even hesitate. He met his challenge and with truth, honest, courage and boldness he won the day for Himself and for us his followers. Do you have a challenge today? Of course the very easiest thing to do is to ignore it and pretend it doesn't matter - do a barn dance variation and do-si-do your way around it or pretend it doesn't even exist and Da Da an elephant in the room has just entered. Elephants can be fun to watch and barn dancing can be fun to do but when they take the place of great communication they can have devastating effects. Take ownership of your problems, and help face up to them. I am so grateful and glad that team Dad and Dan did just that - it may not have been easy but our relationship has thrived because we did. God's answer to the elephant in the room? Let Him guide you through it. As Christians and true followers of God we should not be concerned about pointing out blame or being backward in showing the elephant in the room. We shouldn't be prepared to just keep barn dancing around problems either. Let's take ownership of the problems staring everyone in the face. Let's get with God because between Him and us we CAN fix it. God bless you this week as you figure out what elephant you are going to evict in your life, family and friends and also let's decide not to do-si-do around anymore - let's be honest, loving and truthful, brave and courageous yet ever so diplomatic in our conversations and friendships.